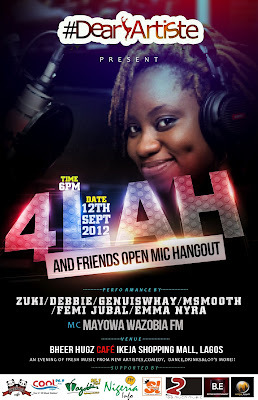 AN EVENING OF FRESH MUSIC FROM NEW ARTISTES, DANCE, COMEDY, AND DRINKS. opportunity for the audience to experience fresh talents! TH SEPT 2012, FROM 6PM- 11PM. 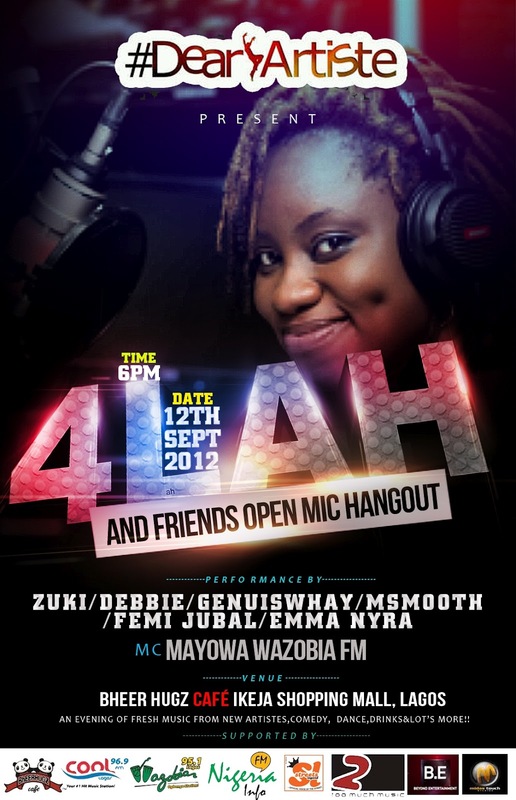 4LaH is a versatile and talented broadcaster with vast experience in Entertainment Broadcasting. her blog for upcoming artistes.